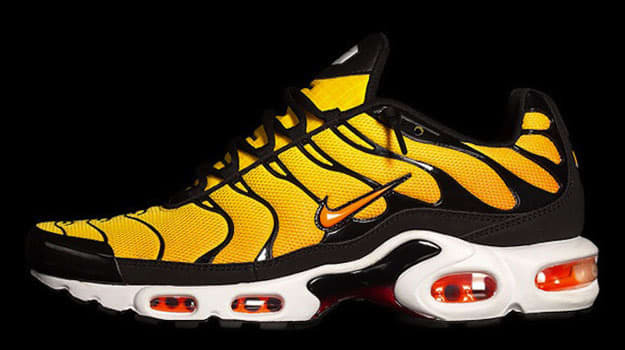 Nike is Bringing Back the Air Max Plus "Tiger"
Nike keeps opening up their vault for 2015, and we&apos;re not ones to complain. First, news surfaced that Nike would be bringing back the Zoom Vick 2. 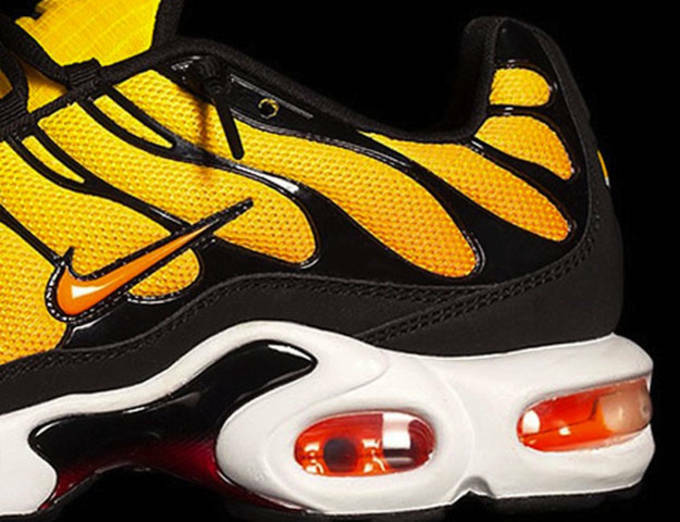 If that&apos;s not enough, Nike is busting out another classic as it&apos;s been confirmed that the Air Max Plus "Tiger" will once again hit retail. One of the best Air Max Plus colorways to ever release is finally getting another chance to shine. The Air Max Plus "Tiger" features the traditional animal color scheme but with some slight variations to the original. It&apos;s missing the orange-to-yellow gradient through the upper which we&apos;re used to seeing, but the 2015 version still comes with the glossy black detailing and solid white midsole. In terms of performance, the Air Max Plus is slightly outdated compared to modern runners but has enough cushioning and support to take it out for some light jogs around the neighborhood. As of now there&apos;s no official release date on the books, but rumor has it these will be a Champs Sports exclusive. Check out the detailed image below, and let us know your thoughts. RELATED: Has the Running Shoe Market Reached It’s Peak?